In China, people have sought acupuncture treatment for thousands of years based on reports of its usefulness from patients—what we call anecdotal evidence. That’s worked for the Chinese, but scientific evidence is what matters to most people here in the West—for better or worse—especially to our medical professionals! Not only has there been precious little of that, but what our Western research has found mainly affirms that acupuncture does work—providing few if any insights into why. 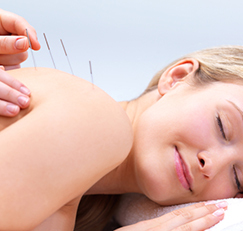 Now, at long last, scientists are beginning to pin it down, as two groundbreaking research studies provide new insights into how acupuncture works its soothing magic. The Eastern explanation that acupuncture moves chi, the body’s energy force, thus correcting its flow along a series of pathways called the meridians, gives no satisfaction to scientists who want to quantify its effects on such things as the nervous system, neurotransmitters and the like. I called a researcher who has made a career of bridging these worlds, Lixing Lao, MD, PhD, LAc, director of Traditional Chinese Medicine research at the Center for Integrative Medicine at the University of Maryland School of Medicine. According to Dr. Lao, the quest for scientific proof regarding acupuncture has been a long and difficult one—he described it as being like constructing a puzzle with several decades of experiments filling in one tiny piece at a time. For example, scientists did preliminary studies to determine whether signals from acupuncture needles in the body reached the brain. They tried blocking local nerves to see if this would prevent acupuncture from having any effect—it did. Then they unblocked the nerves and tried again—this time patients did respond as anticipated to acupuncture, thus demonstrating that somehow its signals do, in fact, travel to the brain. Okay, so how? Pain signals are blocked so they don’t get to the brain. The placement of needles stimulates a signal that travels predictably along the same pathway as pain signals to the spinal cord, overwhelming and blocking their entry. The brain is signaled to release helpful neurotransmitters. The needles stimulate nerve pathways to the meridians that cause the brain to send out pain-reducing endorphins. Adding to that research, these two newest studies provide strong physical evidence of how acupuncture accomplishes those feats. In the first, from the University of York and the Hull York Medical School in the UK, researchers used functional magnetic resonance imaging to scan the brains of 17 participants receiving acupuncture for pain relief. The pictures showed that specific neural structures in the brain were altered, effectively deactivating areas of the brain associated with processing pain. With these two studies demonstrating physical changes from acupuncture,” we are starting to have an explanation of what we have been seeing,” Dr. Lao says. In other words, this so-called “voodoo medicine” (a term some mainstream doctors use to deride acupuncture) isn’t exotic or strange at all—in Western terms, it’s anatomy, biology and chemistry.